A late pumpkin beer that is worth a try! 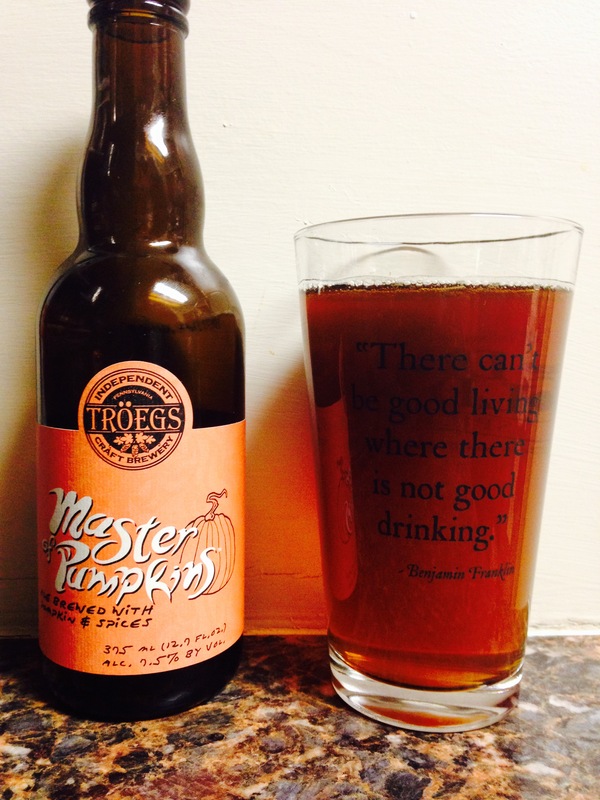 Troegs brewing company from Hershey, PA delivers with Master or Pumpkins! A great color, lots of spice in the scent and tons of flavor! I would have liked to have tried this in my blind taste test to see how it stacks up against my top 5, my thoughts…it would push hard to be there! 7.5% alc content definitely adds to it as well! 4.25 stars!